Yesterday was definitely a day of blessings! While I was rushing around like a headless chicken getting ready for our 2nd gathering of Bee Blessed, Mr Postie delivered a sizeable package, all the way from Galway. As I was opening it I was thinking ‘it can’t be; it can’t be!’ and it was! 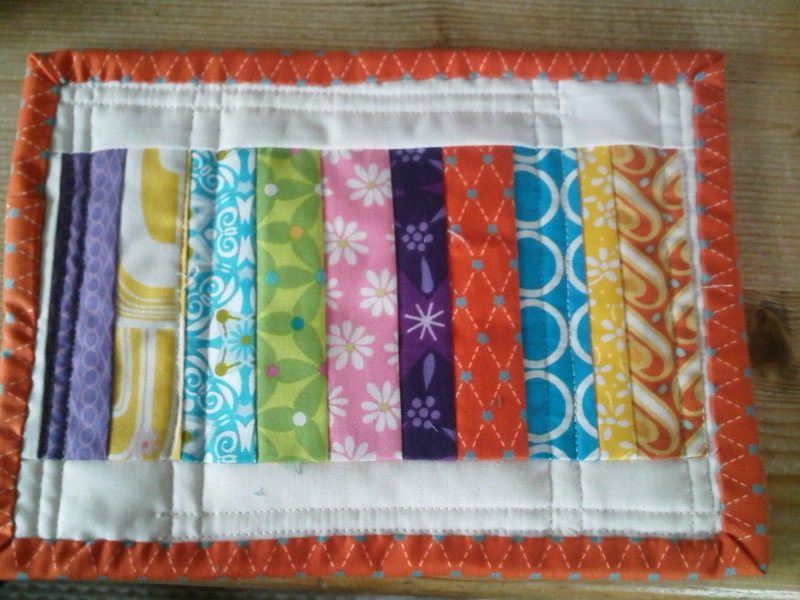 …my 2nd Small Goodie Swap from none other than super swap Mama Cindy (Fluffy Sheep Quilting)! Cindy very wisely ditched the colour criteria I had given way back at the sign ups stage, and went with her gut. She quickly realised we both liked a lot of the same things, so she made these gorgeous items which she loves just as much as I do! Aren’t they adorable? 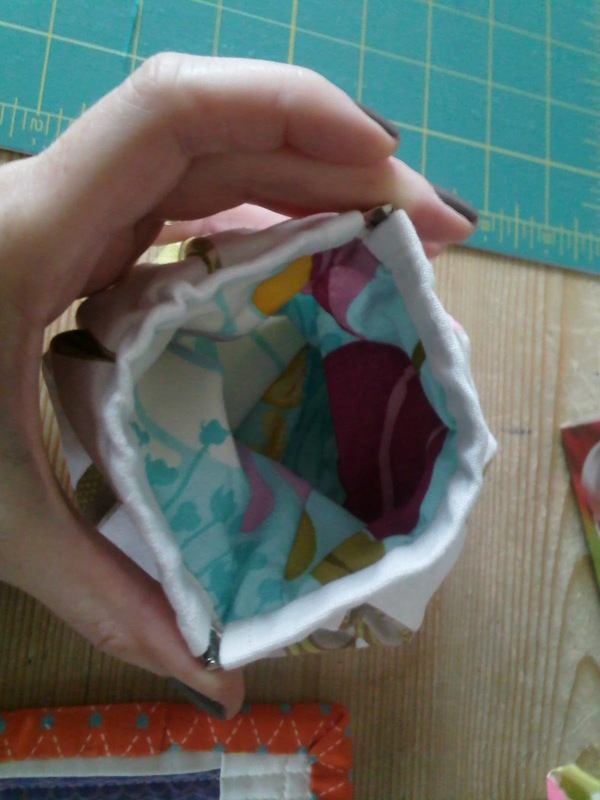 My eldest daughter was with me when I opened Cindy’s parcel and immediately fell in love with this snap closure pouch! And the mugrug is so clever because it is reversible! And as if that wasn’t goodie enough, I also got this cute brooch in an even cuter wee box, a yummy fq of Amy Butler (not in pic) and a box of tea (Cindy knows I like my caffeine in the form of tea)! Thank you so much to my new bloggy friend Cindy, for making for me, wrapping them all so beautifully, and organising a super small goodie swap! If you’ve never visited Cindy’s blog, I’d highly recommend it – she makes the loveliest things and is running a series on ‘Start Your Own’ on Thursdays, where guest bloggers who’ve set up their own businesses share ideas and inspiration. Well worth a look! Another blog well worth a look is my blogging buddy Susan (Canadian Abroad). Susan not only writes hilarious posts, she makes gorgeous things and is currently doing a giveaway of 8 Punctuation fqs. Hop on over for a chuckle and a chance to win. Finally, a huge blessing came yesterday in the form of our gathering of Bee Blessed. 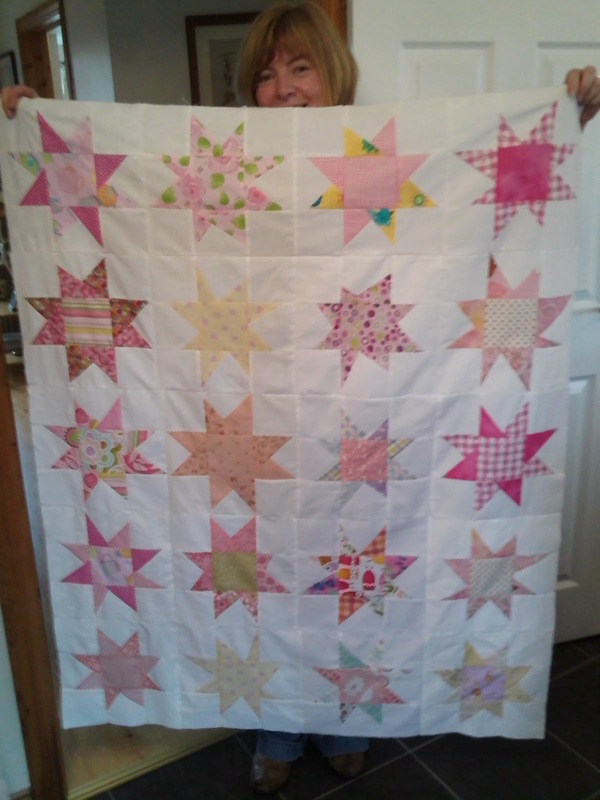 10 of us squished round Sarah’s dining room table to turn all the amazing wonky star blocks that have been donated into cot sized quilt tops. 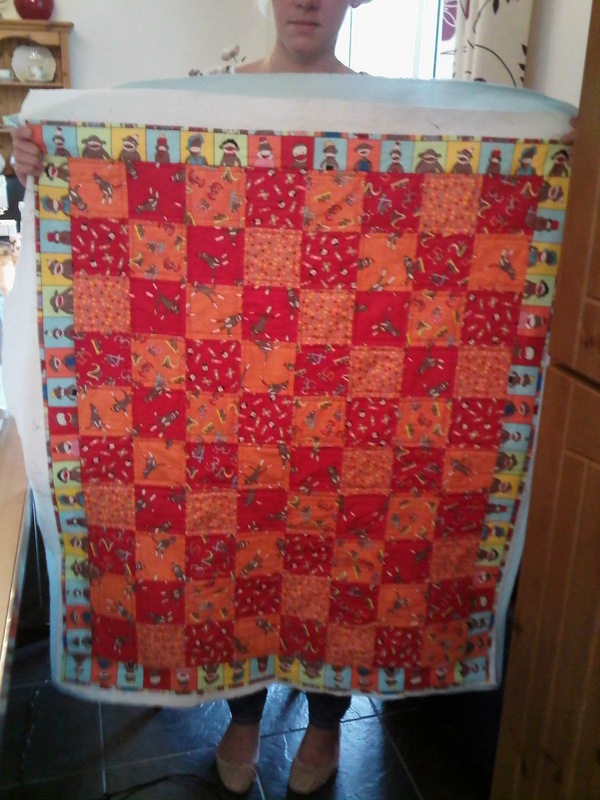 This last quilt top was kindly donated by Susan, which was quilted yesterday. 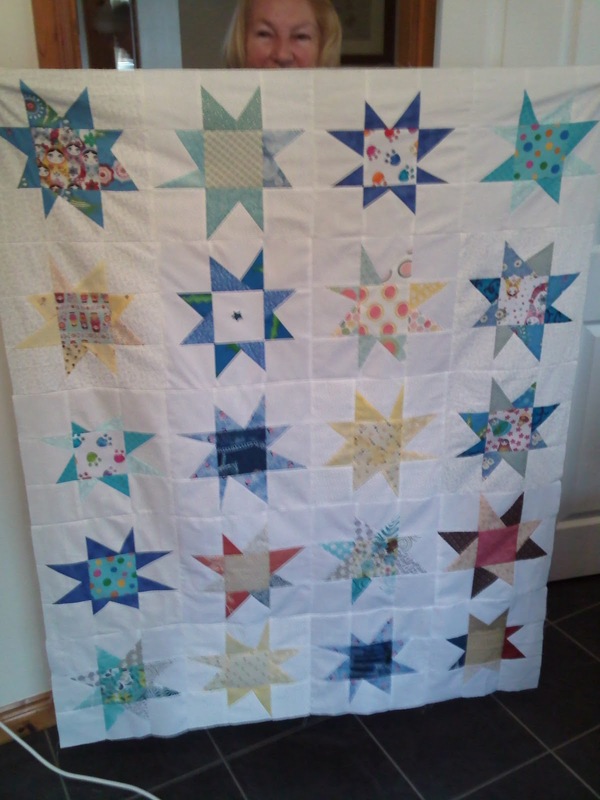 If you don’t happen to see one of your stars in these quilts, don’t worry. 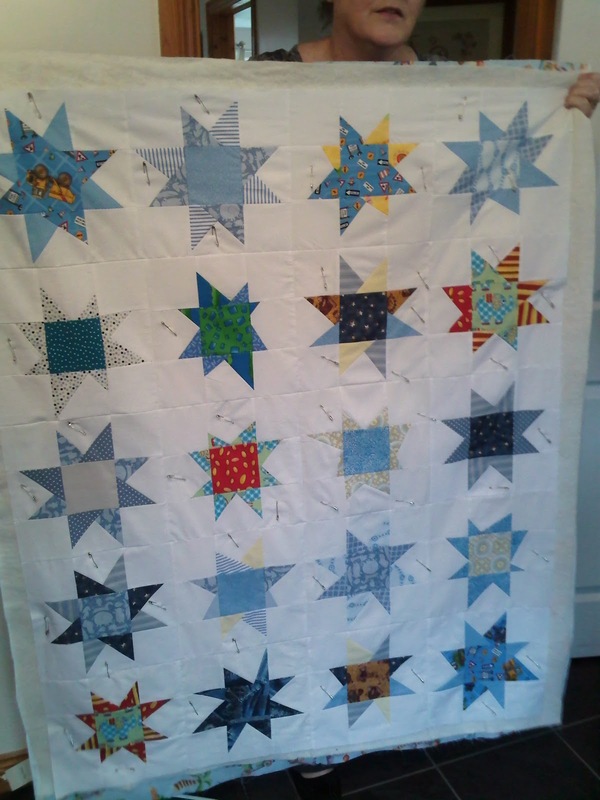 We had a few left over which we are going to keep and either make up into cushions or another small quilt, so absolutely nothing will be wasted. The team worked liked trojans yesterday – thank you all of you for investing in this project. 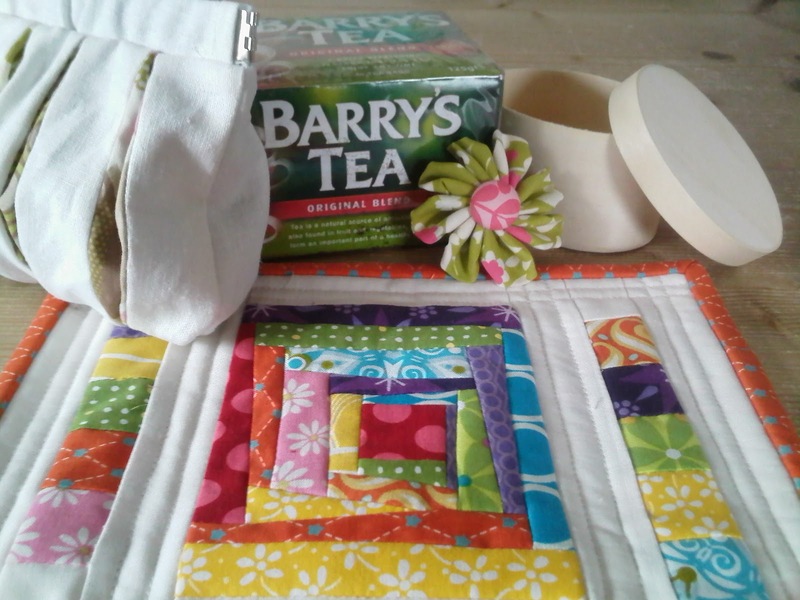 Next time we will get these lovelies quilted, bound and washed, ready for handing over to their new homes. For those of you keen to get started on another block, I will be posting details soon – watch this space! Previous Previous post: A welcome roundup!